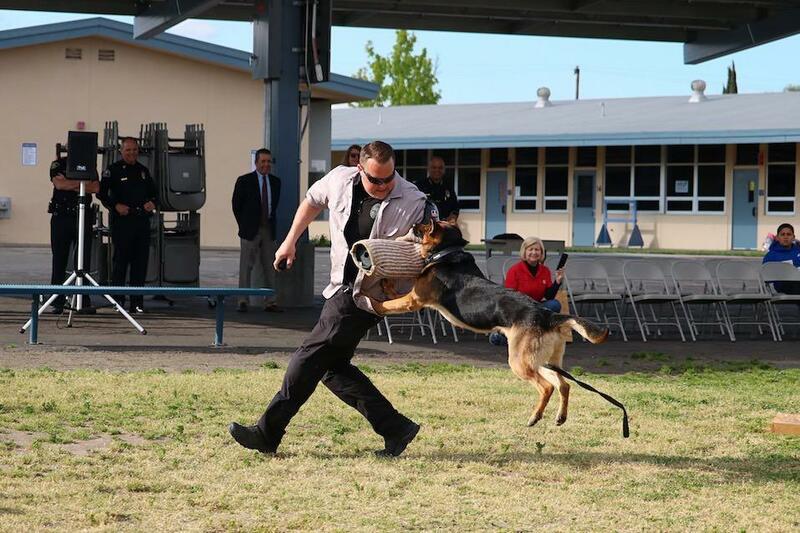 During the event, K9 Officer Ryan Schmidt and his dog Kylo, joined by K9 Officer Brett Klevos and his dog Leo, put on a great demonstration of skills for the Schweitzer students. K9 Rebel was not present but is also receiving his vest. Also in attendance from the Anaheim Police Department were Chief Jorge Cisneros, Captain Joe Reiss, Lieutenant Joe Faria, Lieutenant Chris Moody, Sergeant Jake Gallacher, Officers Brett Klevos and Ryan Schmitt, and Cheryl Timmons from the Friends of the Anaheim Police Department K9 Association. 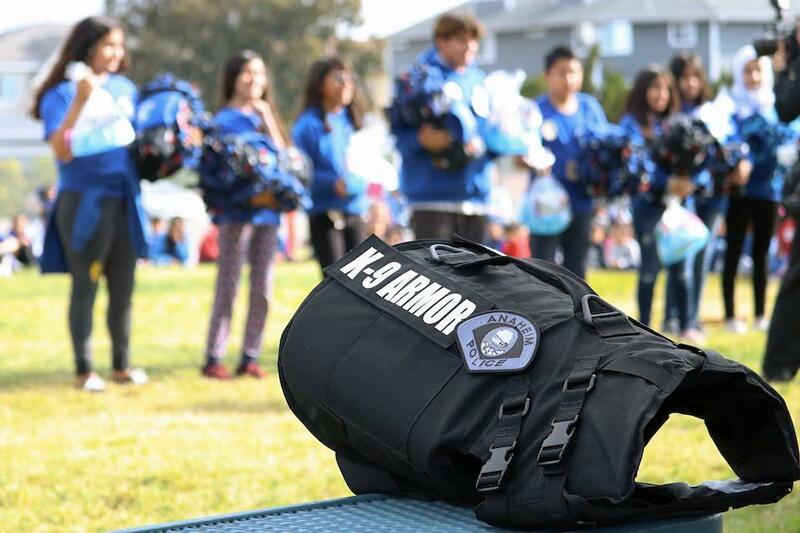 Suzanne Saunders from K9 Armor provided the vest, and Mollie McClary and Michael Yada came to document the assembly for Disneyland public relations, during which students were also rewarded with a Disneyland ticket and recognized for their service to the community. 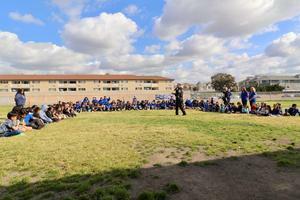 Magnolia School District’s Superintendent of Schools Dr. Frank Donavan, who also contributed to the fundraiser, was in attendance to support the Paws for Laws assembly. 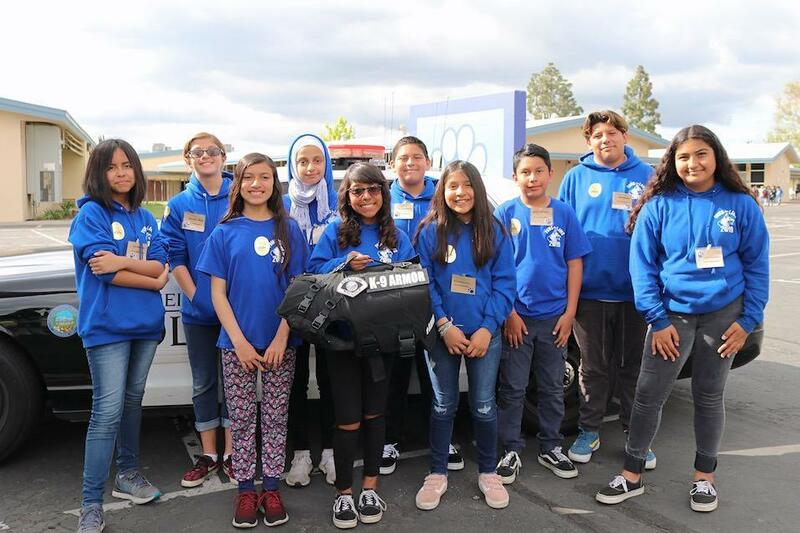 Over a 10-year period, every sixth-grade student in Anaheim elementary schools will have the opportunity to receive a Disneyland Resort ticket to visit with their class, after completing a service project that enriches their school or community. Since 2016, more than 9,000 sixth-grade students at 48 Anaheim elementary schools have given back to their schools and local communities, earning a ticket to come to Disneyland Park as a reward for their good deeds. From food and book drives, to park clean-ups and fundraisers to help their schools, these kids saw first-hand the power of working together for the greater good.